Muhibah is the inflight magazine of Royal Brunei Airlines. Muhibah is a Malay word that means unity or harmony. 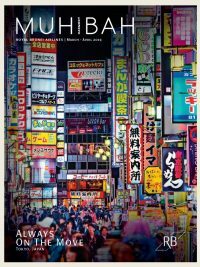 The word aptly captures the essence of the magazine that provides modern travellers with reading material that is relevant, newsworthy and up-to-date. 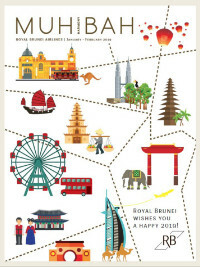 The magazine, apart from being available on board, is also made available at premium airline lounges, participating premium hotels in Brunei, all Brunei diplomatic missions around the world, Brunei government offices, selected Brunei and international travel agents and tourism bodies, RB Recreation Club, RB Sales Offices worldwide, and selected businesses. Download our Muhibah from the selection of latest volume below.